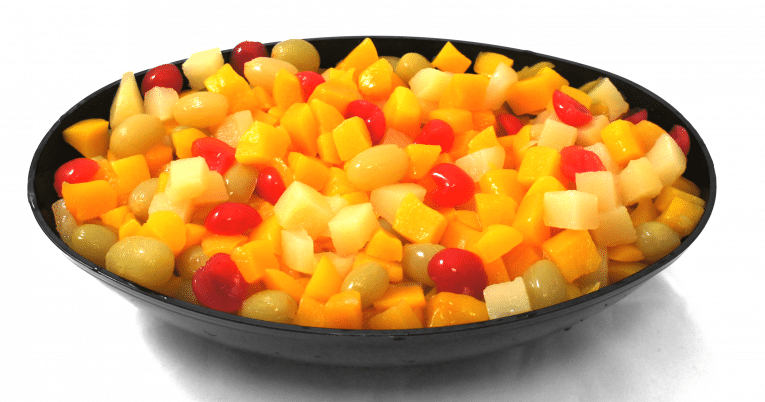 Fruit Cocktail in extra light syrup is packed using 100% sucrose (sugar). Sucrose improves overall flavor, as subtle fruit flavors are enhanced. Additionally, calorie and carbohydrate levels are appreciably reduced as compared to the traditional heavy syrup pack.